University Park East is positioned for growth! A community Blueprint for Change is in progress. Our shared vision is to define a bright, beautiful, safe, and vibrant community. From now through January 2017, community residents and leaders are joining forces to develop the Blueprint. Community transformation begins with people. Community meetings, working groups, and community conversations are in progress. All residents are invited to join in. Every voice counts. 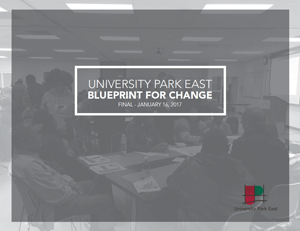 Development of the Blueprint for Change is supported by a Choice Neighborhoods Planning Grant from the U.S. Department of Housing and Urban Development, the leadership of the City of Gary, the Legacy Foundation, and the Gary Economic Development Corporation. University Park East is our community. It is where our family, our friends, and we live. It is where our children will grow up, where we go to school, and where we attend church. We deserve quality, affordable housing, conveniently located services like pharmacies, dry-cleaners, and restaurants, and improved public services that enhance walkability and access to public transportation. The revitalization of our neighborhood can only be successful with your involvement. Your voices are our action steps in the transformation of UP East and every improvement, whether big or small, is a critical step toward our shared vision for the community. Help us develop our Blueprint for Change. An Opportunity Zone is an economically distressed community where new investments, under certain conditions, may be eligible for preferential tax treatment. Opportunity Zones are designed to spur economic development by providing tax benefits to investors. A number of projects planned for the University Park East neighborhood offer immediate investment opportunities. For more information, contact Joseph Van Dyk at the Gary Redevelopment Commission, 219-886-1531 or Kelly Anoe at the Legacy Foundation, 219-736-1880. 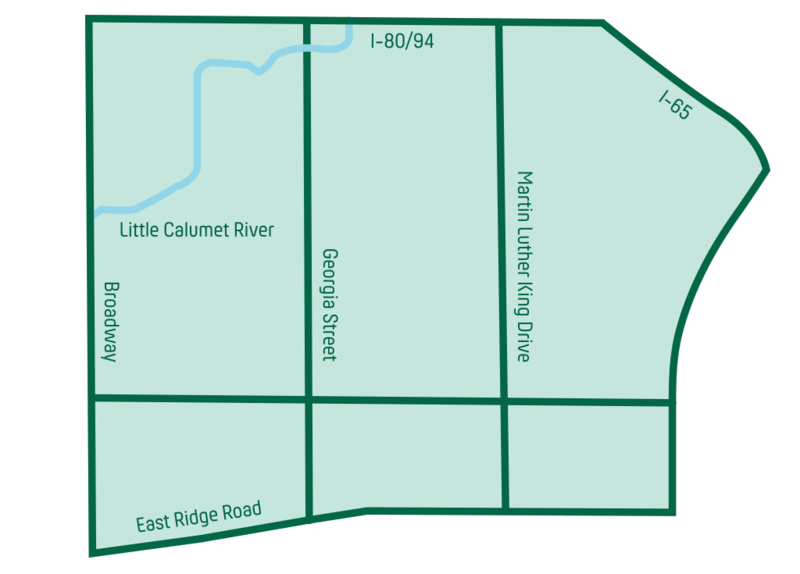 The Blueprint for Change is supported by the U.S. Department of Housing and Urban Development Choice Neighborhoods program and a Choice Neighborhoods Planning Grant, in addition to the leadership of the City of Gary, the Legacy Foundation, and the Gary Economic Development Corporation. The Blueprint will be the guiding document for UP East’s revitalization and we must develop it together. We will create our neighborhood’s Blueprint and define the success of the program. The potential for University Park East to receive a Choice Neighborhoods Implementation Grant exists. While not guaranteed, neighborhoods that have successfully completed a planning process that brings together residents, business owners, stakeholders, nonprofits, private developers, and local leaders are more likely to receive an Implementation Grant. The Choice Neighborhoods Initiative Team (CNI Team) has been working hard to ensure you have a platform to engage in the revitalization of UP East. Take a minute to change your community. Contact us! 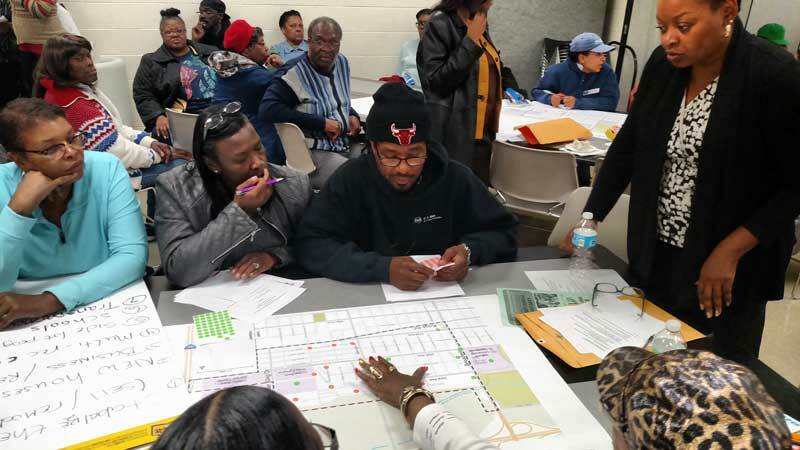 The U.S. Department of Housing and Urban Development awarded University Park East a Choice Neighborhoods planning grant to develop a neighborhood Blueprint for Change. More than 110 residents turned out to provide feedback and ideas about transforming the neighborhood. Designed to develop goals and strategies needed to transform the community, working groups are a driving force in the planning process. Designed to give residents the opportunity to provide feedback and be a part of the discussion. Residents discussed new housing preferences. Residents discussed economic development strategies based on insights. More than 60 UP East residents came out. Many voiced their desire to see our neighborhood cleaned up and proposed improvements to street lighting and sidewalks, as well as increased policing to help combat crime. Our working groups—Economic Development Commercial Corridors, Resident Engagement and Leadership Development, Family Well-Being, Housing, Neighborhood Services and Amenities, Public Safety, Workforce Development and Adult Education, and Youth Development & Education—worked hard to help create the Blueprint for Change Draft Plan. We would like to thank all working group members for their time and dedication thus far. On July 15th, we submitted the draft to the Department of Housing and Urban Development (HUD). While we await feedback, the Engagement and Leadership Development working group will remain active. All other working groups will reconvene upon receipt of feedback from HUD. To join the Engagement Leadership Development working group, contact Rachelle Morgan Ceaser, UP East Project Manager, at upeastprojectmanager@gmail.com or 219.793.3606. Stay up-to-date with the University Park East Facebook page. Each community meeting will provide insight into the planning process. If you are unable to participate in a working group, we invite you to attend a community conversation. During each community conversation, you will have the opportunity to provide the working groups with feedback. To have an immediate impact on the quality of life in the targeted area. To engage a diverse representation of residents (youths, adults, elderly, disabled) from the targeted area. To build collaboration among organizations and businesses in the targeted area. To identify and build local leadership and capacity among residents. To contribute to the overall CNI Plan for University Park East. Community Block Clubs: The Urban League will begin identifying, advertising, and mobilizing Block Clubs in University Park East. Five block clubs will be mobilized/formed to help neighbors become better involved and engaged in their community. Window Sign Contest: Neighborhoods Inc will coordinate a Window Sign Contest in University Park East where residents will enter a contest to get as many neighbors as they can to place a Choice Neighborhood/Neighborhood Watch sign in their front window. Prizes will be awarded for the residents who get their neighbors to put up the most signs. Earth Day 2016 Clean Up and Celebration: The Minority Male Initiative convened on Earth Day to lead a University Park East clean up along the 35th corridor from Broadway to King Drive. The day will end with a celebration that will have entertainment, food, and information booths/resources. IMAGINE UP East: Youth and seniors (ages 70 to 92) were encouraged to participate in a filmed oral history project. Participants were asked to reflect on the history of the neighborhood and re-imagine its future. Two open mic performances, titled "Gary Yesterday, Today, and Tomorrow", were held at New Tech High School, located at the Gary Area Career Center. These reports were completed during the Choice Neighborhoods Planning Initiative. The Blueprint for Change includes strategies and action steps that will result in sustainable and meaningful investments in UP-East to help it become a vibrant and thriving community. The Existing Conditions Assessment is intended to provide a baseline understanding of the current physical and social conditions in UP East. The analysis will inform the development of the Blueprint for Change. The Blueprint for Change Outline was delivered to HUD in January 2016. 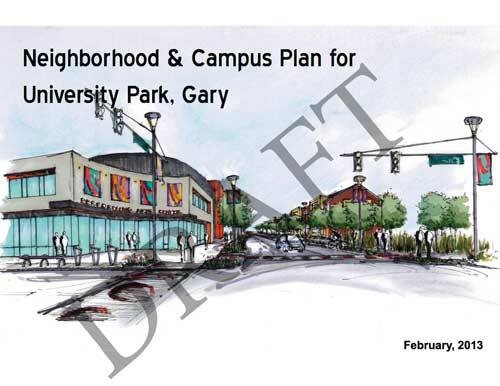 This document was produced by the City of Gary Department of Commerce in collaboration with The Community Builders, Inc. and with input from University Park stakeholders including Indiana University Northwest, Ivy Tech Community College, Gary Community School Corp, the Gary Housing Authority, and many others. 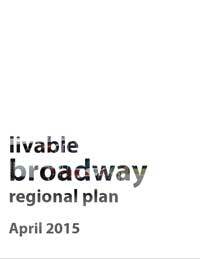 Gary Public Transportation Corporation commissioned the Livable Broadway Regional Plan to assess opportunities for improving bus service within Gary, Merrillville, and Crown Point while enhancing economic development, environment and land use and promoting livability within the corridor. The LBRP is now a guiding document for how the Broadway corridor can and should holistically develop.